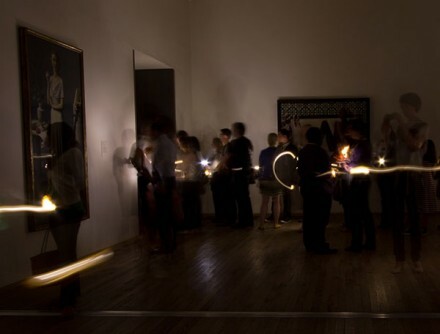 As part of the London 2012 Festival, the Tate Modern is hosting a special exhibition in collaboration with artist Olafur Eliasson and engineer Frederik Ottesen. Spotlighting the duo’s new creation, Little Sun aims to bring solar-powered lighting to parts of the world with no electricity. 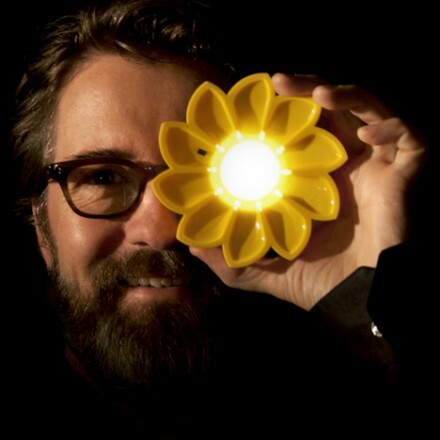 The Little Sun is a solar-powered lamp, several inches in diameter, that Eliasson and Ottesen created as an answer to poorly connected areas that would benefit greatly from electrical lighting. 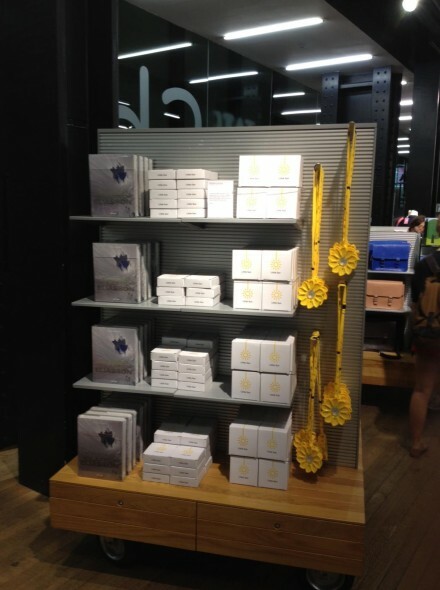 Available for sale at the Tate gift shop, newly founded venture uses the profits from these sales to facilitate profitable sale of these products for vendors in “off-the-grid” nations, ensuring fair distribution and economic incentive while promoting growth. Eliasson’s exhibition features video detailing the impact of the Little Sun on, as well as a station that allows visitors to create their own “light graffiti” using specially formatted cameras to capture long, trailing streams of light as the used moves the Little Sun. The Icelandic-Danish artist’s work frequently incorporates natural phenomena like light into his work. 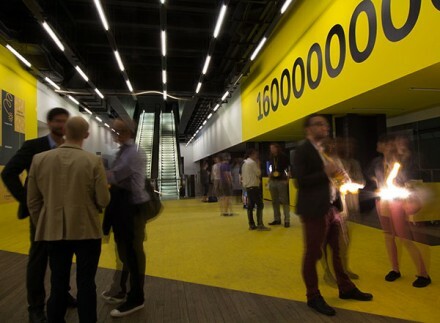 Almost 10 years prior, his work The Weather Project filled the Tate Modern’s turbine hall with an enormous golden sun, creating an otherworldly mystique from natural elements, all bound by the museum’s architecture. Here, the artist has partnered with the museum for a number of “torchlight” tours of the Surrealism exhibits, recalling the 1938 Paris Surrealist Exhibition (also hosted by torchlight). 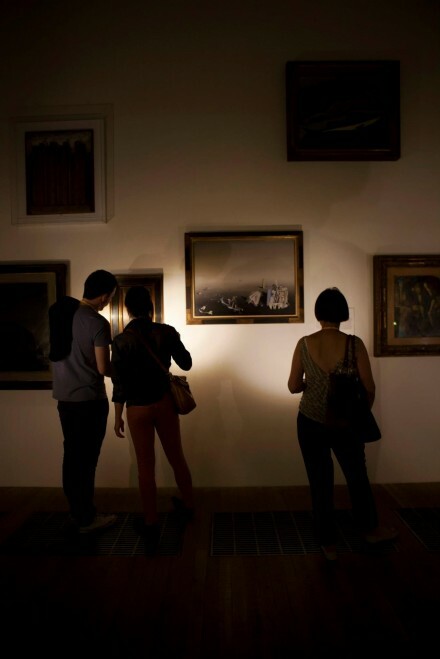 Visitors can gain admission with the purchase of a Little Sun, which in turn becomes the light for the tour. 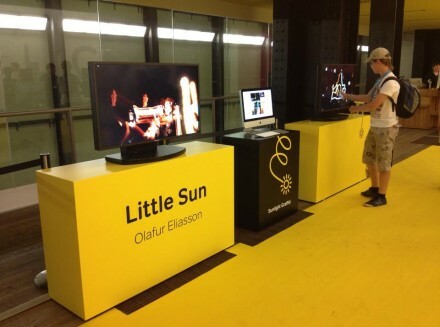 Rarely is art, technology, commerce and philanthropy so fascinatingly welded together as in Little Sun. Much like Eliasson and Ottesen’s invention, there seems to be minimal friction in the way the pieces interact (lamp driven tours paying for additional lamps sold abroad, etc. ), each part of the exhibition expelling its energy outwards to power additional parts. Seeking greater global benefit while steering clear of outright charitable donation, the Little Sun aims to light the darkest corners of the world, bringing sustainable energy and economic growth and with it. Little Sun is open until September 23rd. Late night tours occur every Saturday night until September 8th. 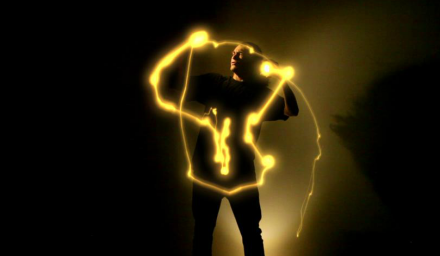 This entry was posted on Tuesday, August 28th, 2012 at 1:20 pm	and is filed under Art News. You can follow any responses to this entry through the RSS 2.0 feed. You can leave a response, or trackback from your own site.